Building on the success of the gold and silver refining business and leveraging on the Group’s knowledge in other precious metals such as platinum and palladium, MMTC-PAMP established this business vertical to cater to Industrial customers and bring the global standards of excellence we uphold in our other verticals to this hitherto untapped market. 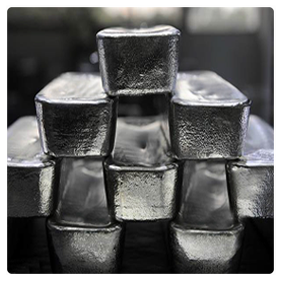 This is a natural extension of our core business of refining silver, and will enable Industrial customers to accrue the true benefits of high grade silver through improved conductivity and overall performance in their respective applications. We will be engaging closely with customers across sectors where precious metal-based products are consumed; namely petrochemicals, automobiles, pharmaceuticals, solar energy and electrical equipment manufacturers. In addition to meeting their product requirements, we will also be providing solutions for the recovery of precious metal from their spent material. This will ensure a complete life cycle solution for our customers. Our aim is to develop world class technology with a strong R&D focus so that we can build future-ready products for our customers, both in India and globally.